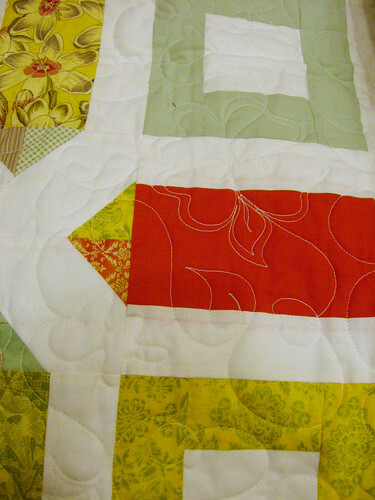 Now that you hopefully have all your fabric cut out, it's time to start piecing your blocks! 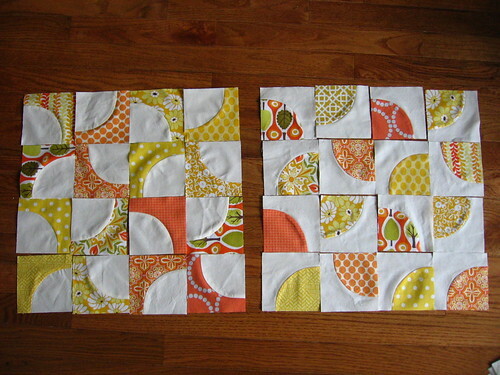 The original block-piecing tutorial has the instructions for how to piece this block, so you can refer back to that, but I thought I would share a few more tips as well now. If you haven't yet, I strongly suggest sewing up a few sample blocks to get the hang of it, and trimming them down to size. 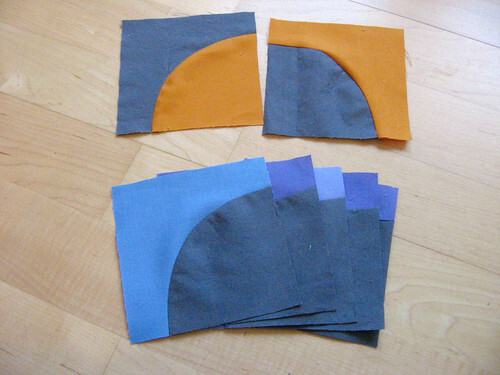 That way, if you are having any issues with the piecing you will be able to tell before you have sewn up a whole bunch. I doubt you'll have a problem but it's always good to test things out, right? 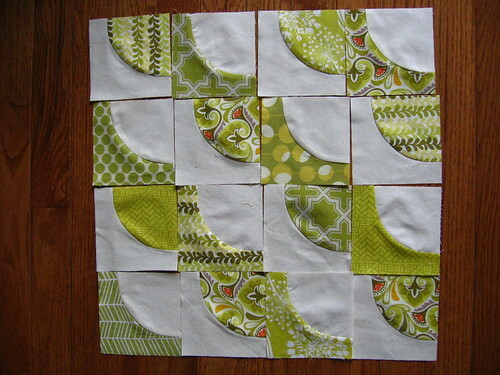 Once you've tried out the piecing and gotten comfortable with it, you will hopefully be able to whiz right through piecing these blocks! 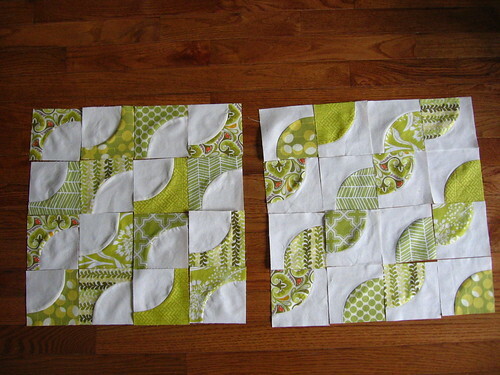 As you can see, they are totally amenable to chain piecing, which can make the piecing go really quickly. 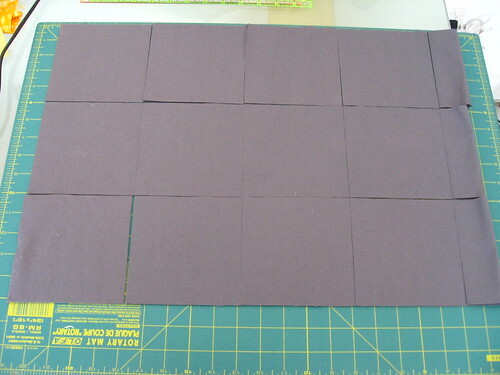 After you piece your blocks, you will need to press them flat and then trim them to size... I personally like to sew some, and then press and trim them, then go back and sew some more, etc. That keeps it more interesting for me than being left with a whole huge pile to press and trim at the end. But hey, whatever way you prefer to work is fine of course. 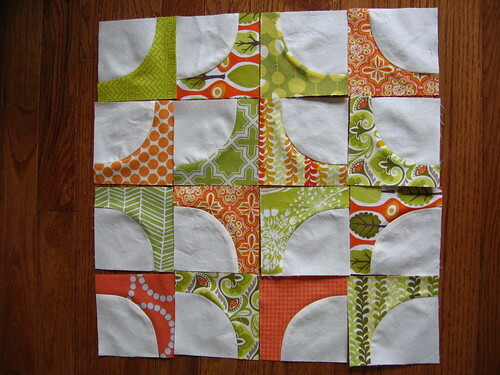 As far as pressing seams, if you are planning to assemble your blocks in a design that has half, 3/4 or whole circles, then you may want to think about trying to press your seams in alternate directions so that they nest nicely. 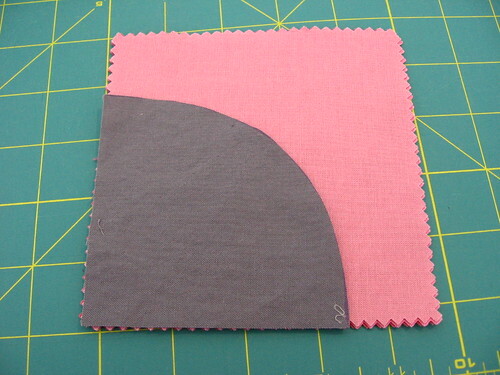 If you aren't doing a design with any half, 3/4 or whole circles then you really don't need to worry about it because those seams won't be abutting anyways. 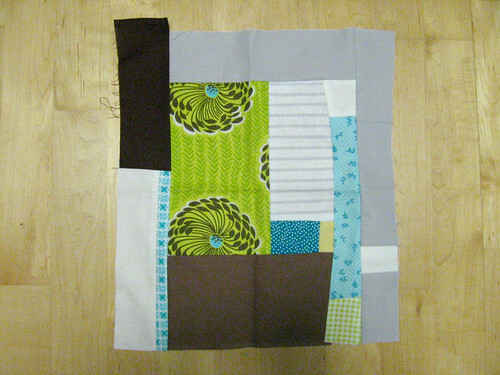 And really it will turn out fine even if you don't worry about it; for my original DP quilt, I just pressed some in and some out and then some of the seams ended up nesting and some didn't and it was all fine in the end anyways. 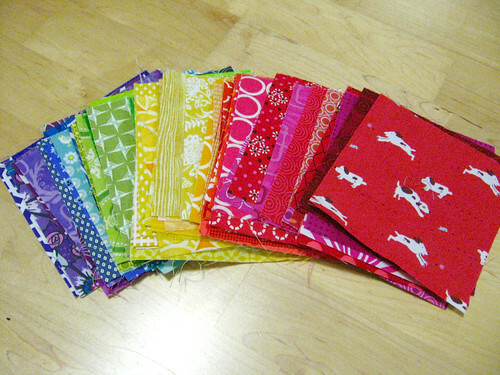 As you can see I still have quite a few blocks left to sew up! Can't wait to see your progress too. And if you have any questions or tips to share, feel free to leave them in the comments or start a discussion thread over in the Flickr group! 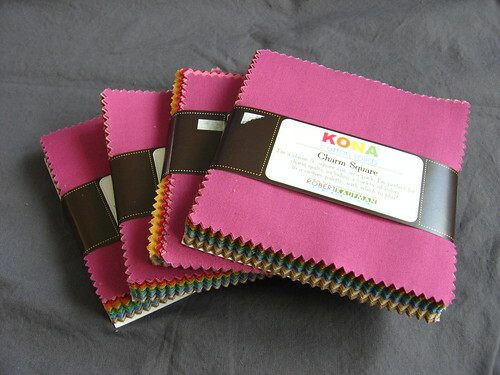 I decided to use several sets of Kona cotton charm packs in the Dusty selection with Kona coal as my contrasting "solid" for my quilt. I haven't decided the exact size that I am making yet, but I want it to be a decent sized throw/large lap quilt, so I started with 4 charm packs (since I am not using the tans/beiges/browns from them I am hoping this will be enough), and 2 yards of the coal (although I may need a bit more). The color scheme is inspired by several beautiful quilts that I have seen that pair rainbow solids with grey - this gorgeous diamonds mini by Lindsay of Lindsay Sews, and this fun pinwheel quilt from Spontaneous Threads. Both of these examples used the Bright kona charms but I was more drawn to the Dusty selection, especially since I am hoping we will use this in our living room and I want it to be a bit understated. 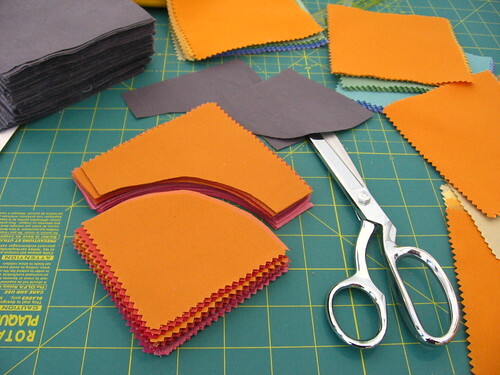 So, back to cutting your fabric! I actually probably already covered most of what you need to know in the block-cutting tutorial, but I thought I would go through a few parts in more detail here. First, hop back to that page to print the template if you haven't already yet. 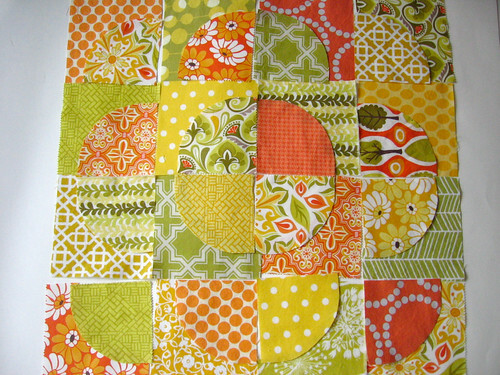 Hopefully you have purchased fabric and figured out how many blocks you need to cut from each at this point for your design (although I am actually planning to play around with my blocks once I get them sewn up and see what design appeals to me most - so that approach is fine too!). 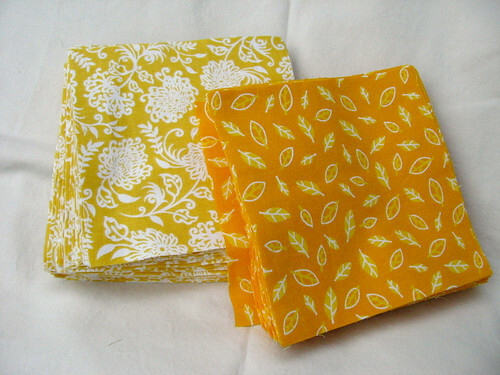 If you are cutting any charms from yardage, as I mentioned in the fabric requirements post, Elizabeth from Oh! 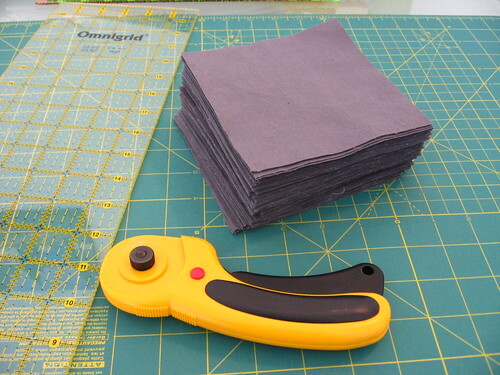 Fransson has a good tutorial for cutting charm squares. 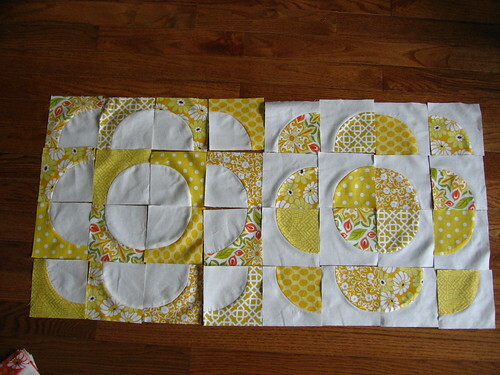 I would note, however, that for making blocks using my templates, while you don't want to be too sloppy, you don't need to stress out about being exceedingly precise in your charm cutting since you will be trimming the final quarter-circle blocks down to the exact size. 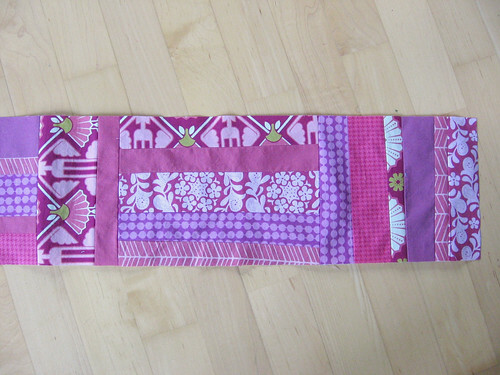 I found that it worked fine to stack the cut strips two on top of each other (so four layers of fabric deep), and three in a row, and then cut them in rows. I am sure this is not the best way to do it if you need them to be exactly precisely 5" square, but since a tiny bit different will be fine for our purposes, this was a great way to speed things up. If you can tell you are a bit off, just try to err on the side of larger rather than smaller I would say. Once I had my stack of contrasting solid charms cut, I used a disappearing pen to mark the quarter-circle on the square, lining up the template with the corner. You can also rotary cut around the template or use scissors to cut around the template while holding it, this just seemed easiest to me. 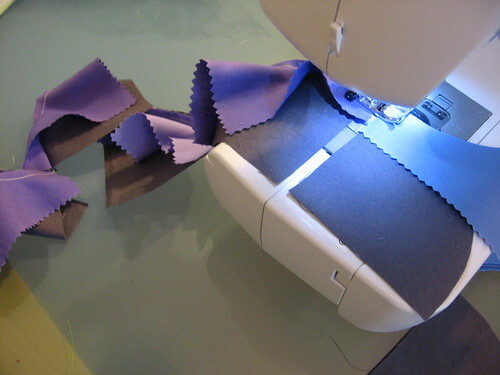 Then I like to use that first fabric piece that I cut out as a kind of fabric template when I cut the rest with scissors (again, feel free to use a rotary cutter or do this however is easiest for you - just wanted to share what worked well for me). 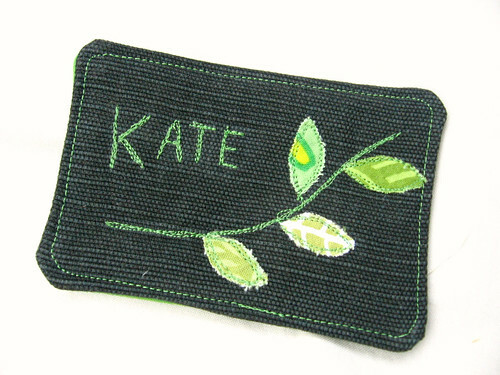 I line that fabric template with the corner of the charms - and when I am using precut charms I try to line up the edge with the outer tips of the pinked edge, rather than the inner one - I think that is most accurate and avoids cutting too large a inner curve piece and thus leaving too small an outer curve piece. 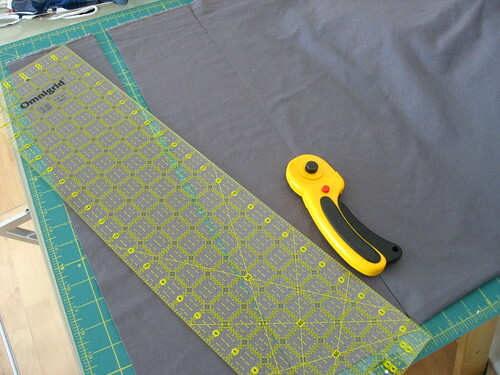 I just hold onto that piece of fabric and hold it in place as I cut around with scissors, being careful not to cut anything off the grey piece that I am using as a fabric template. 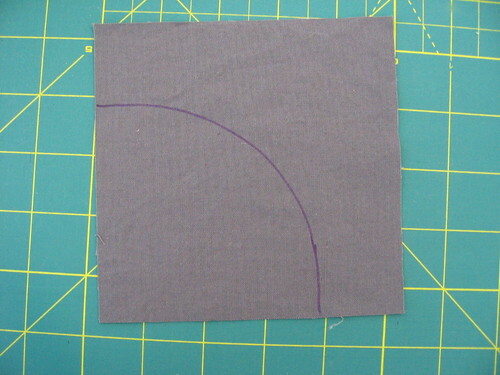 Then I got ahead and use the scissors to trim the two ends (3/8"). 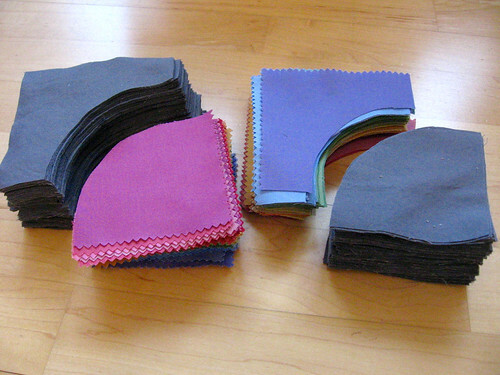 I found that I could cut 4 pieces of fabric at once with my prewashed Kona coal, but only 3 pieces with the unwashed precuts, since they were more slippery and it was harder to keep them lined up properly while cutting. This may sound tedious but it actually goes really quickly! I had only cut a portion of my fabric when I took the picture below but I finished cutting the rest later and my total cutting time, including cutting out the kona coal charms and cutting all the inner/outer curve pieces, was about 2 hours (for a larger lap quilt). I hope that helps, and happy cutting! I'd love to see your progress as you get going over in the Flickr group. Although I am itching to start lots of new quilt tops, I am trying to stay focused and finish my first drunkard's path quilt (and hopefully my kaleidoscope quilt too) before I start too many new projects. 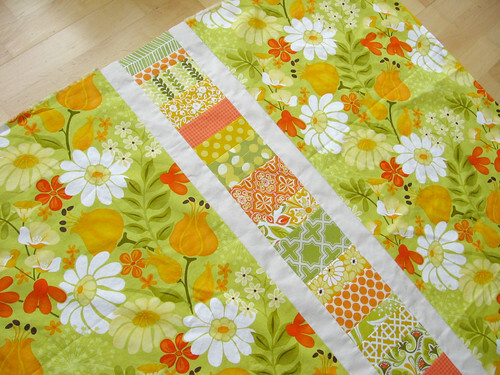 I pieced this quilt back for the drunkard's path quilt - this is actually my first pieced quilt back! 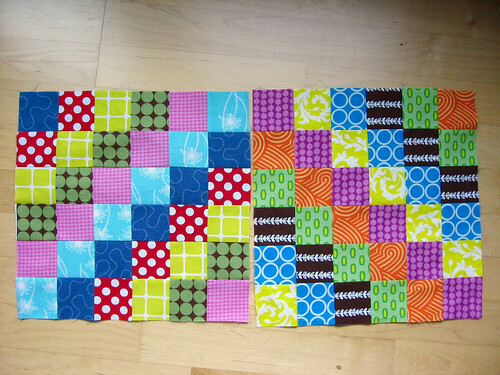 I often make baby quilts where I can get away with just using a 42" width of fabric for the back, and while I have been thinking of this as a baby quilt, since it measures 45" square, I knew I would have to piece it somehow to make it big enough. When I was cutting charms for the front, I saved the random ends thinking that this would make a nice design, and then I cut some more to make enough for this pieced stripe. 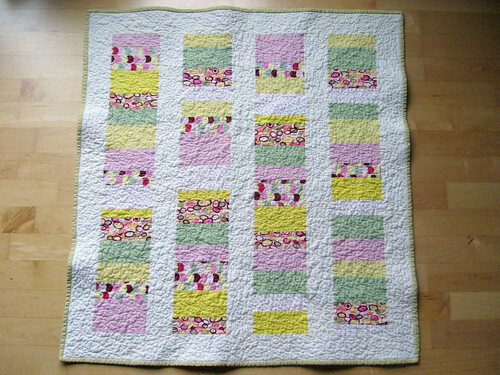 I like how it looks - the fact that I love the flowery central park fabric that I used as the main fabric doesn't hurt either. 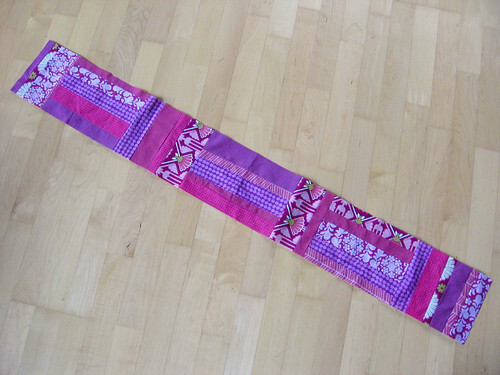 I hope to baste and quilt it this week. 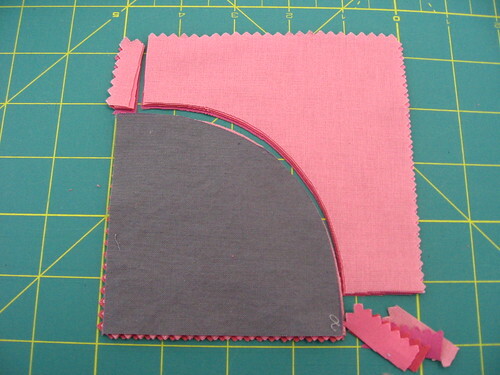 And while I am trying to finish that up before I start too many new things, I can't ignore the Drunkard's Path QAL that Kristie and I are hosting... so I have picked out my fabric and started cutting! More on that later this week. 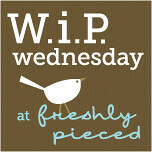 I'll be linking up to WIP Wednesday over at Freshly Pieced - very happy to be back in the swing of things and looking forward to seeing what everyone else is up to! 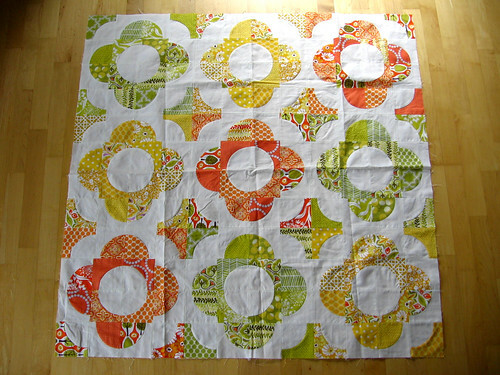 I don't know about you, but I can't wait to get going on this QAL! One of my favorite things about this block design is that there are so, so many different design options - I can't wait to see all the different directions that you all take it. Kristie has been sharing some great inspiration pics on her site too, so if you haven't checked them out, make sure to jump over there too and take a look. If you want to keep it simple and use a design that will use equal numbers of your patterned/colored inner and outer curve pieces, there are luckily some gorgeous designs like that too. Here are just a few more, in addition to the flower-like design I used in my first quilt (and there are lots of other ideas out there). I have been thinking about the design and layout as a repeating 4x4 block, but as many of the inspiration quilts that Kristie has shared show, you can really also think of it as a whole quilt design - so don't feel that you have to take a block-based approach. I wish that I had had the fabric (and well, the patience) to try out larger layouts when I was playing around with these - the patterns just get more interesting the larger you go. Hopefully these help to spark your imagination and you can get an idea of how cool they look when you start to see a larger pattern! 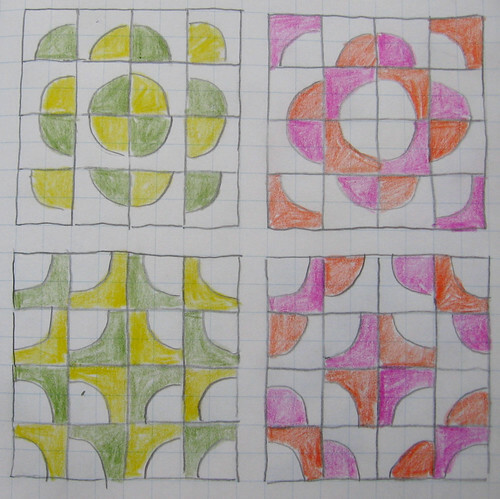 I had a lot of fun sketching out different ideas with graph paper and colored pencils, so feel free to play around with that as you think about possible designs. 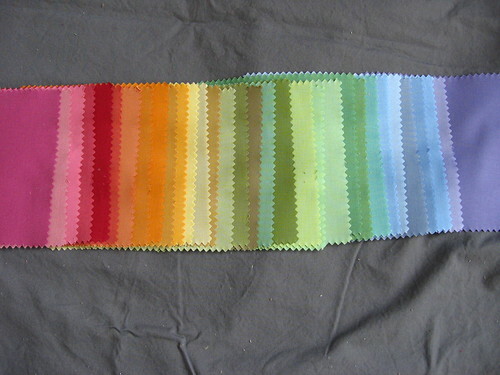 Don't forget to share your photos in the Flickr group as you start picking fabrics and thinking about your design - we can't wait to see what you come up with! 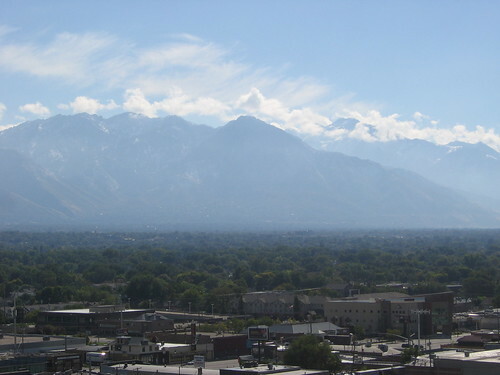 I got home last night from an awesome two days at the sewing summit in Salt Lake City. It was so fun to get to meet so many people that I had gotten to know online, take fun classes, and talk about fabric, sewing, blogging (and everything else) endlessly. There were so many great people there that I wanted to talk to, my only regret is that it wasn't a longer event so that I could really spend time with everyone that I wanted to. One of the best parts was getting to actually meet Natalie, who I felt like I already knew so well from reading her blog and emailing back and forth. 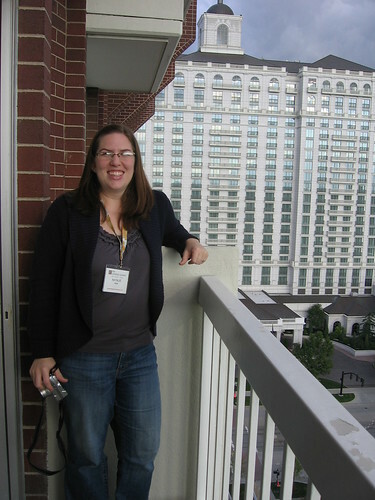 I was really happy that we were roommates since we got to spend lots of time together and talk each others' ears off :). Natalie is searching for an academic job now, which means she could end up moving kind of anywhere, and I am not-so-secretly hoping that she will end up in Portland with me! There was so much going on that I didn't take a lot of pictures at the sewing summit (oops), not to mention that the lighting was pretty crummy... but they had a whole room of sewing machines set up that were used both for hands-on sewing classes and then were available for open sewing the rest of the time. I got to do a lot of the hands on classes which was really fun! 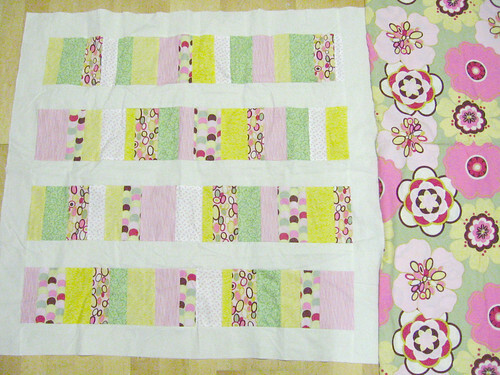 I took a free motion quilting class with Allison from Cluck Cluck Sew - it was great to get her tips and get to practice more, I am definitely still building up my FMQ chops. 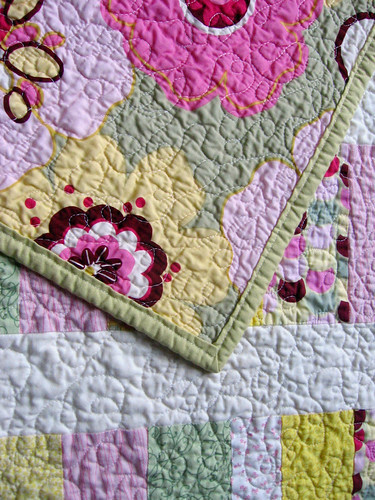 Check out the awesome floral design she quilted above! 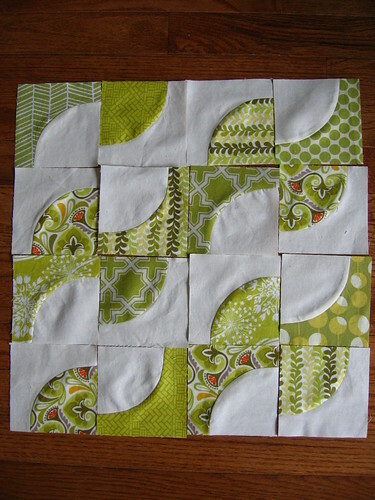 I have really been wanting to try improv piecing so I loved the improv piecing class with Jess from Urban Patchwork. She had some great tips too (and beautiful example quilts - wish I had gotten a photo of some but you can see lots on her blog). I will definitely have to do more of this, it was so fun and low-stress and I love how it looks! We participated in a fun discussion about incorporating modern sewing into your home decor - lots of great ideas came up and Erin had pulled together this great spread of examples too. 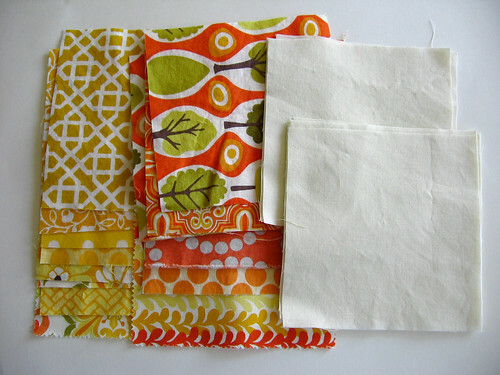 I had brought a pile of fabrics from my stash in case there was time to sew, thinking that I could make a quick quilt top for 100 Quilts for Kids and get the quilt done before the October 14 deadline (um, just looked that up to put it in here and realized how soon it is - eep! Hope I have time to finish it before then... if not, I will still finish and donate later). Anyways, Natalie and I decided it would be a fun project to knock out in an hour or two (um, kind of late at night), and it was super fun! I have never really sewn or quilted with a friend before, it was like having a fabulous quilt assistant - she did all the cutting and most of the ironing so I mostly just had to sew things together. 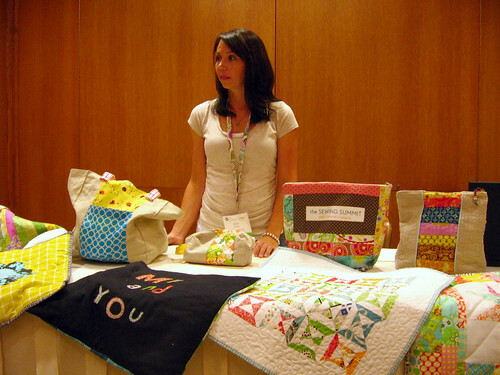 Plus she was a great advisor with tips for how to make a stacked coins quilt super fast (I had never made one before) and design advice. 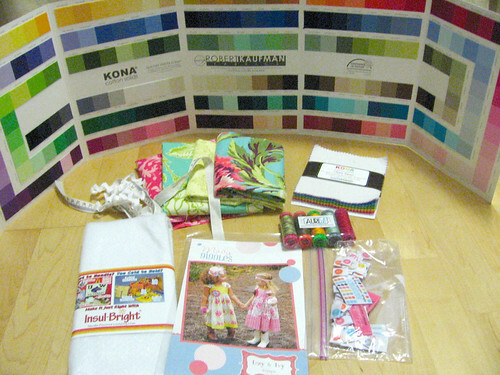 Last but not least, there was a ton of swag and prizes (and then we went to a fabric store on top of that), here is just a small selection of some of the stuff I came home with - an apron kit that I won, aurifil thread, a kona charm pack, an izzy and ivy pattern and clothing labels, insul-bright insulated batting (all of those from the amazing swag bag), and my favorite, the Kona color card that they gave out to everyone in Jeni's class on fabric selection. Wow! Hope to see all you wonderful ladies next year! !